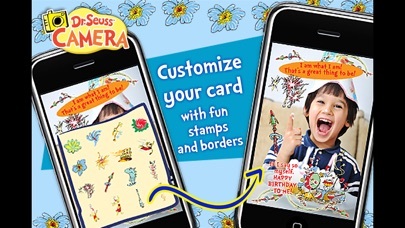 Create zany and whimsical Dr. Seuss Birthday Cards, using your Camera or images from your Photo Library. 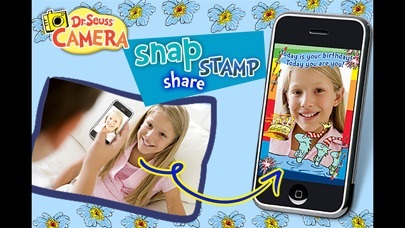 Personalize cards with comical and colorful stamps, borders and classic Seussian text. Happy Birthday To You! Cards can be shared with friends & family on Facebook, Instagram, Messages, Email, Twitter, Airdrop, or saved to the Photos. Now you too can do what they do in Katroo. They sure know how to say "Happy Birthday To You!" 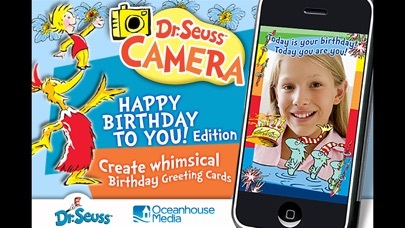 Official Dr. Seuss licensed iPhone, iPod Touch and iPad app. Dr. Seuss Properties ™ & © 2011 Dr. Seuss Enterprises, L.P. All rights reserved.